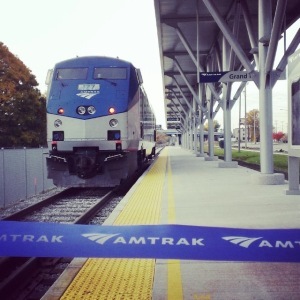 On the 65th episode of The UrbanCincy Podcast, Travis, Randy, and John are joined by Charlie Monte Verde of Amtrak. We discuss the Cardinal Conference that was held in late September and the possibility of upgrading the Cardinal — Cincinnati’s sole intercity passenger train — to daily service. We also discuss why Amtrak’s overall ridership is continuing to rise year over year, and what it would take for additional Amtrak routes to be added to Cincinnati’s Union Terminal.